The landmark Bush Temple of Music was originally constructed in 1901—when Chicago was the leading piano-manufacturing center in the world—for the Bush and Gerts Piano Company and the Bush Conservatory of Music. 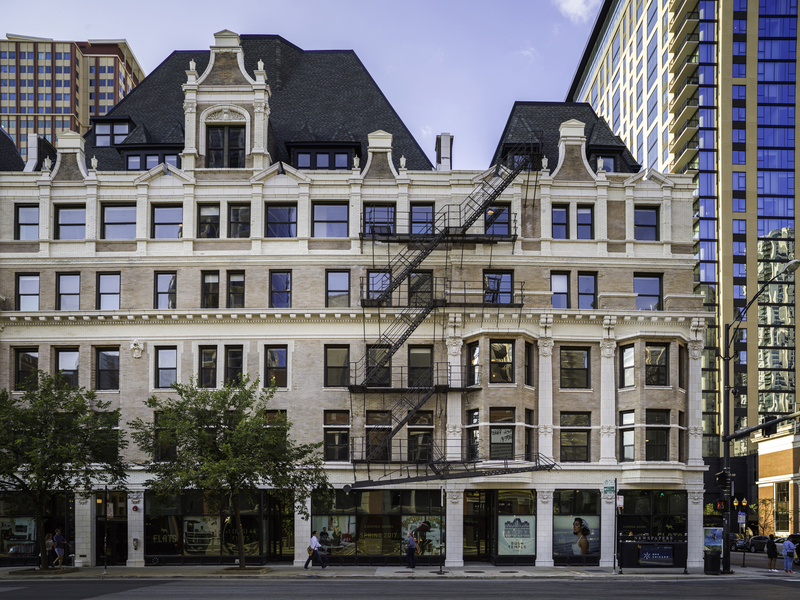 Over the years, the six-story building fell into disrepair and sat vacant until its recent conversion into a mixed-use, residential development that pairs micro-unit apartment rentals with robust community amenity spaces. During the renovation, terrazzo floors, unique lobby features and eclectic elements from the 1930s and 1940s were uncovered and reused to add authentic texture throughout the building. Renters beneft from large amenity areas that encourage residents to meet up, work, socialize and work out, and help to offset the individual apartments’ small size. The lobby is designed as a 24-hour gathering place that serves as a café by day and then transforms into a bar at night. It also features an original Bush Temple piano mounted to the wall. 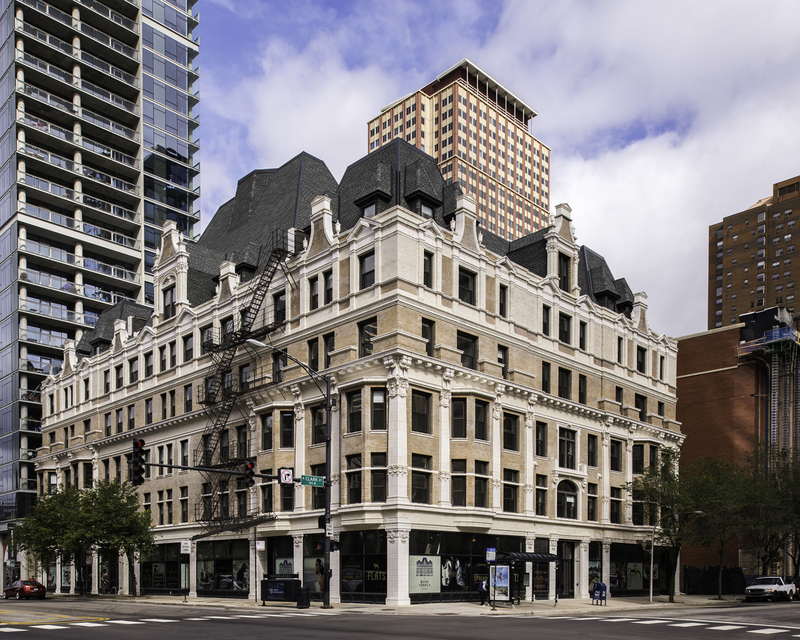 The project includes the design of an adjacent 16-story residence that connects to the original structure, which is a Chicago Landmark and listed on the National Register of Historic Places.